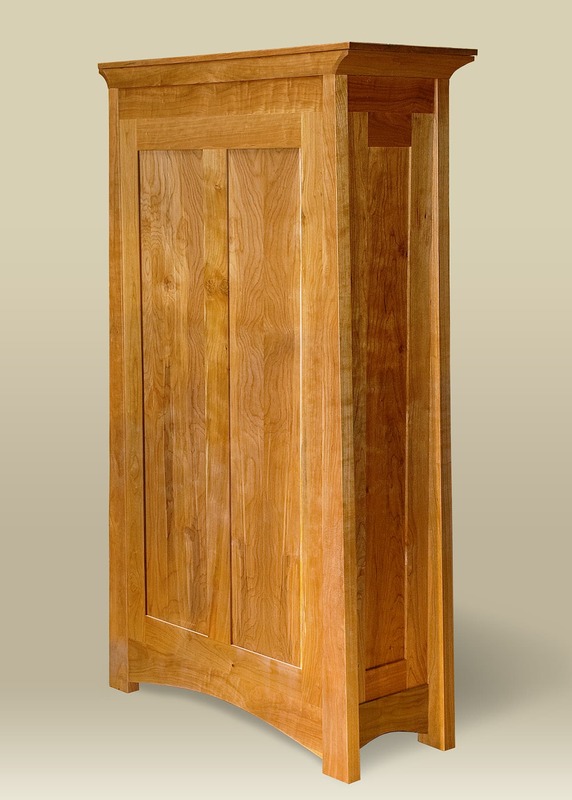 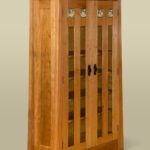 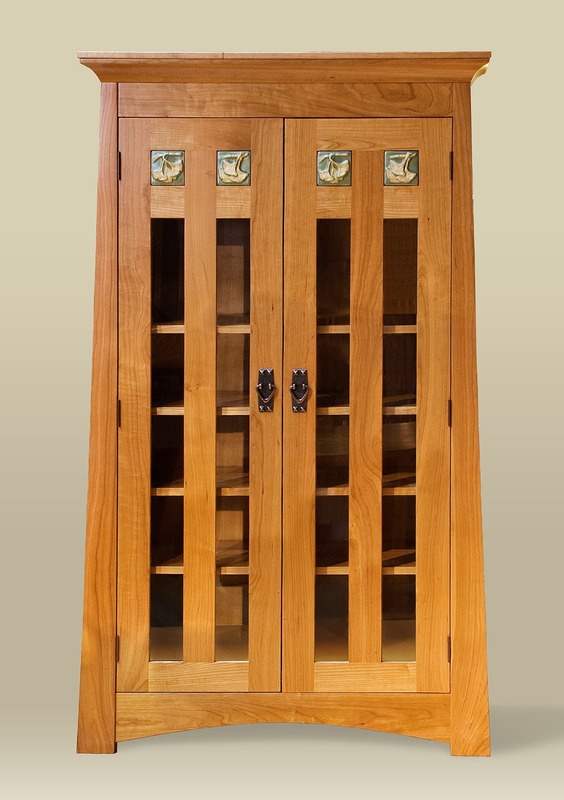 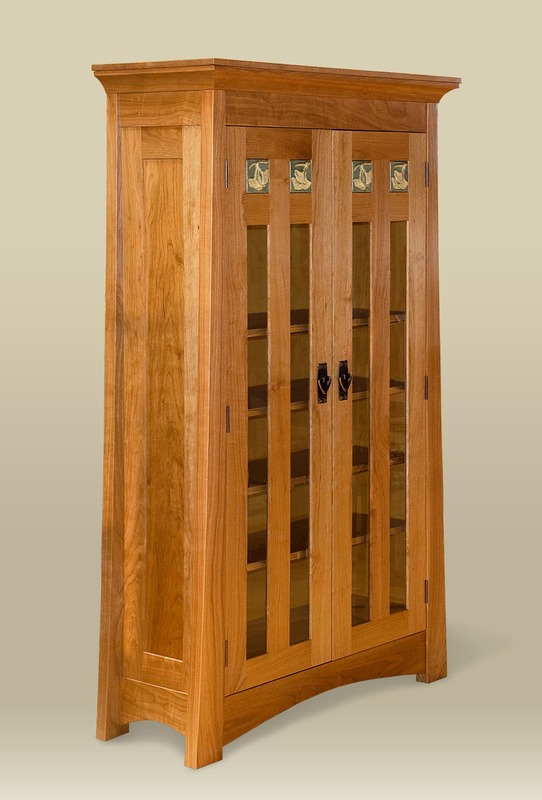 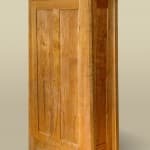 Brian’s Arts and Crafts style cabinet is so beautiful from all sides that it could be the centerpiece of your room. 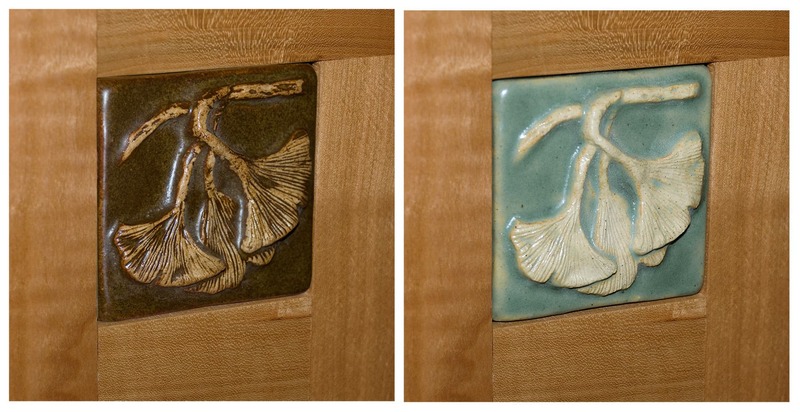 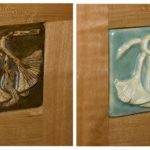 The vertical lines are rewarded at the top by an authentic touch – handcrafted ginkgo tiles from Weaver Tile. The four adjustable shelves of this cupboard give you ample space for a collection of books or art. 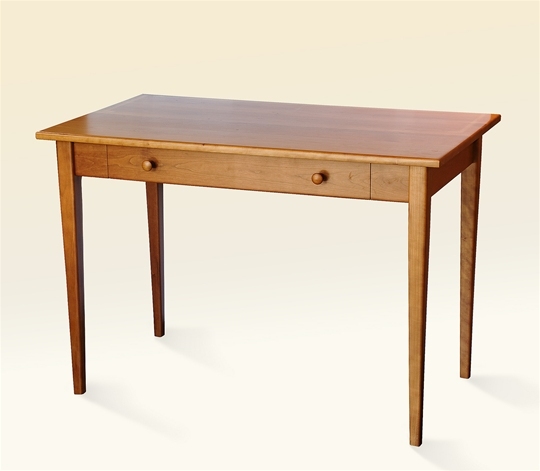 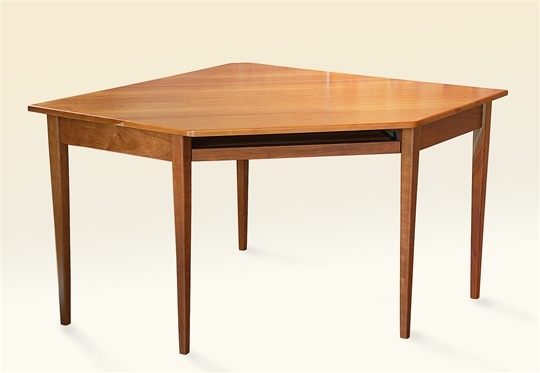 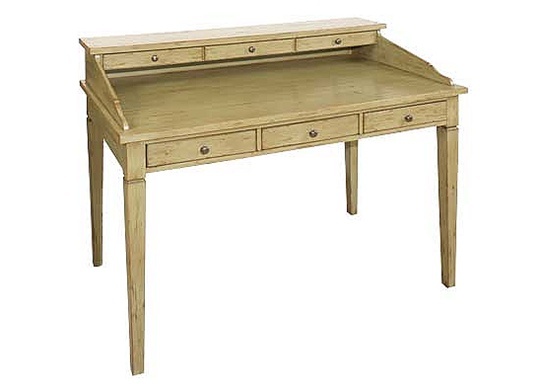 Shown in Cherry, Brian can also make it in Maple, Walnut or Traditional Quarter-sawn Oak.